Thank you Allen for 20 years with harvard pops! 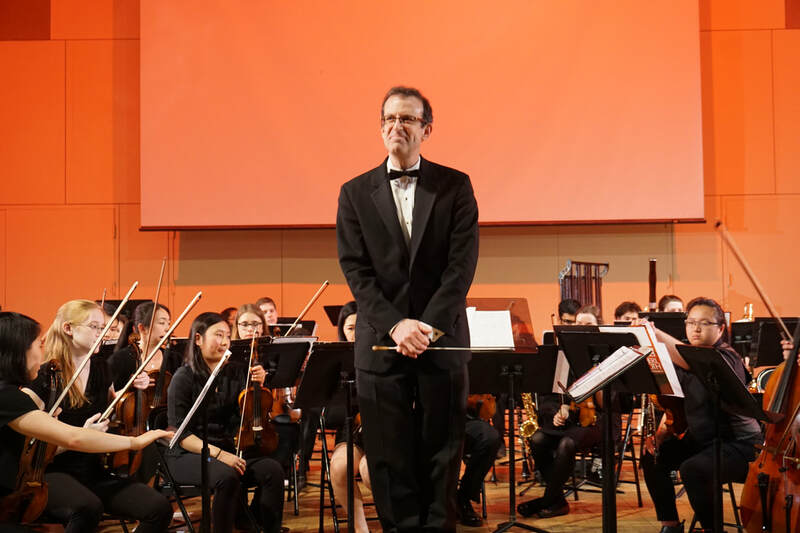 In addition to leading the Pops Orchestra, Allen is an accomplished musician, conductor, composer, and professor. In the summer of 2010, his Three Dances for Oboe, Bassoon, and Piano was premiered at the International Double Reed Conference in Oklahoma with original choreography. He composed a score to D.W. Griffith's silent short film Voice of the Violin, for Treasure 3, a project of the National Film Preservation Foundation. He also orchestrated the full-length film Where Are My Children? for that DVD compilation, which was released in October 2007. The DVD set was on many 'best of' lists for 2007, including those of The New York Times, Time Magazine, and The New Yorker. His concerto for euphonium and orchestra received the Phillips Composition Prize from the International Tuba Euphonium Association as the best work featuring euphonium written between 2002 and 2006. The piece was recorded by the New Zealand Symphony and former Boston Pops soloist Adam Frey. The concerto recording was released on the MSR Classical label. Allen's new musical, At Swim Two Boys, based on the award-winning novel by Irish author Jamie O'Neill, was staged in Boston in 2007. Allen is on the faculty at Northeastern University where he is Music Director of the Wind Ensemble and Concert Band. At Harvard, Allen is also Music Supervisor of the Hasty Pudding Theatricals and Guest Artist in conducting for the Freshman Arts Program.